The following article is an excerpt from this book. The key to answered prayer is to abide in Christ and to let His words abide in us. In John 15:7 it says, “If you abide in Me, and My words abide in you, you will ask what you desire, and it shall be done for you” (NKJV). Here are eight things an abiding Christian does to strengthen his faith in order to keep himself abiding in Christ—taken from my e-book Prayer A to Z. 1. He makes it his habit to meditate on the Word every day. This daily meditation time helps him to see things from God’s perspective, gives him a desire for God, and helps him to adjust his desires to God’s desires. 2. He obeys God and keeps himself busy with His work. The abiding believer knows that faith isn’t really faith without obedience and work. In fact, he is convinced that his faith is perfected by obedience (Ja. 2:22). Therefore, he is always diligent to listen to God as he prays, so that he can do everything He tells him to do. 3. He commits himself to holiness. He is not one to merely obey God’s commands as an obligation or duty. No, he seeks to please Him in everything. Therefore, he works hard to get to know Him and what He would desire of him. He especially tries to keep himself pure and holy, a vessel fit for His use. 4. He believes and prays without doubting. The abiding Christian is not like the waves of the sea, driven and tossed by the wind. Rather, he is strong in faith and prays without doubting. And as a reward for his faith God grants his request (Ja. 1:6-7; Heb. 11:6). 5. He prays according to God’s will. He always prays according to Bible promises and according to how the Holy Spirit confirms His will to him. Therefore, he prays with a strong will and with great confidence that he will receive God’s answers (Read 1 John 5:14-15). 6. He prays specifically. The abiding Christian always prays specifically, not generally. Those who pray generally are really not seeking or expecting an answer, but are usually praying just to fulfill an obligation. The abiding Christian prays specifically because he is always seeking and expecting an answer for a specific need. Therefore, he exercises great faith; and as a reward God is pleased with him and grants his requests (Heb. 11:6). 7. He prays earnestly. Earnest prayers are fervent, desperate prayers, prayers that are repeated over and over again. They could possibly be misinterpreted as pagan prayers: those that are made repeatedly with the intention of impressing God or others with mere words (Matt. 6:7). However, when the abiding Christian prays repeatedly he is not meaning to impress anyone with his words, nor does he pray out of fear or obligation. His prayers are made with great sincerity and determination, and often with fasting because of some great burden the Holy Spirit has laid upon him. Therefore, his prayers are earnest because he prays out of love and concern for others and for God’s good will. 8. He prays together with other believers. A few days before Jesus ascended into heaven, He prayed for all believers that they would be made perfect in one, just as the Father and the Son are one (Jn. 17:22-23). This indicates to me that all those who truly abide in Jesus and His words also abide in fellowship with other believers. The abiding Christian therefore is not a loner. He is knit together in fellowship with a body of believers who do things together and pray together. And because they practice praying together in unity and agreement, they experience God’s awesome power and are often delighted by the answers He brings them. 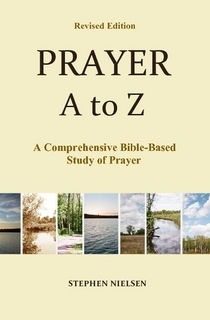 This entry was posted in Answers to Prayer, Prayer A to Z Excerpts and tagged Abiding in Christ, answered prayer, earnest prayer, effective fervent prayer, holiness, James 5:16, John 15:7, meditation on the word, specific prayer, united prayer. Bookmark the permalink.